Holiday Deficit Disorder is a made-up epidemic that includes symptoms such as typing LOL without actually laughing out loud. NEW YORK: Morgans Hotel Group has launched an initiative aimed at putting an end to Holiday Deficit Disorder, an epidemic that can impinge on creativity. The idea for the made-up disorder comes from the fact that "we’re all in this hyper-connected world" with little time to escape humdrum day-to-day tasks, explained Alan Philips, CMO of Morgans Hotel Group. 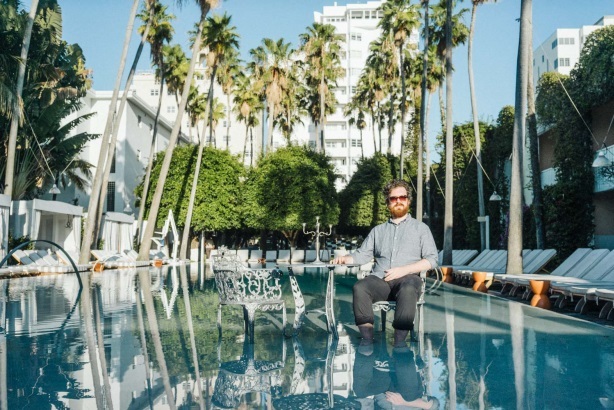 He added that the company defines itself as hotels for creators, so it wanted a playful way to connect with the creative community and show its members that Morgans Hotel Group is "here to inspire and support you." "Don’t let HDD kill your creativity," said Philips. The condition’s symptoms include typing ‘lol’ without actually laughing out loud, volunteering for jury duty just to meet new people, and thinking the guacamole on your burrito bowl is your only salvation. To make people aware of these symptoms, Morgans created a series of Vines describing each one and shared the six-second videos on its social media channels. The hashtag for the effort is #EndHDD. The brand’s marketing agency, NSG/SWAT, also created a video to raise awareness of HDD. A microsite includes videos and treatment options for the disorder. Morgan’s Hotel Group advises consumers to treat HDD by staying at one of the company’s properties in New York, Miami, Los Angeles, San Francisco, Las Vegas, London, or Istanbul for up to 40% off. Philips said another reason the brand created the campaign is to compete against a number of challenges in the hotel industry, such as the increasing popularity of Airbnb, oversupply in the market, and the fact that fewer Europeans may travel this summer due to currency issues. "With channel strength constantly shifting, the only thing a brand can control today is content," explained Philips. "How the consumers interact with that content and whether they choose to make a purchase is no longer in our hands." While this is "scary," Philips said brands will succeed if they engage in meaningful dialogues with consumers. For phase two of the initiative, Morgans is issuing "intensive treatments" at each property for consumers with HDD, including a weekend-long summer camp at the Hudson New York location. The company is planning a second episode of the campaign for the fall, added Philips. In addition to connecting with fans on social media, the brand will leverage its relationships with influencers and bloggers. Starworks Group is handling traditional PR for the campaign. The firm was brought on this spring to oversee Morgan’s corporate communications, as well as the group's properties in New York. More recently, Starworks began handling US communications for the company’s London properties Mondrian Sea Containers, St Martins Lane, and Sanderson. Budget information for the campaign was not disclosed.